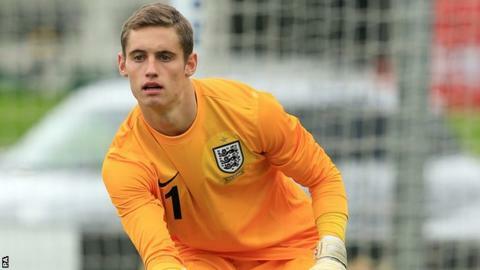 England Under-20 goalkeeper Ted Smith has signed a new deal with Southend to keep him at Roots Hall until 2018. The 19-year-old, who has been named in the national U20 side for a tournament in Germany, has made four first-team appearances since coming through the Shrimpers' youth ranks. "I want the jersey," Smith told the club website. "Dan [Bentley] is doing brilliantly and if he takes a knock then I need to be ready to step in."